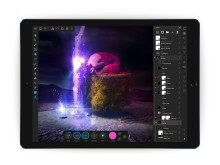 Affinity Photo for iPad has been given a permanent lower price, as developer Serif pushes out the latest free update to its iOS app. 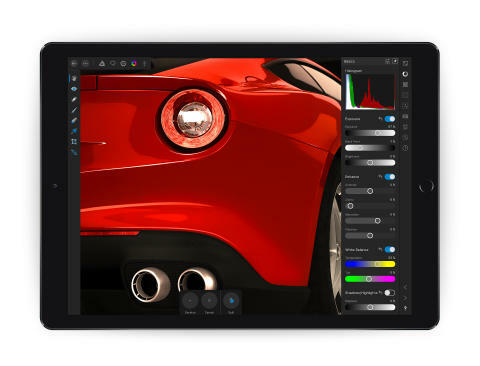 The first fully-featured, truly professional photo editing tool for iPad was unveiled during Apple’s WWDC keynote in San Jose, in June. Reviewers and customers around the world have since acclaimed it as a game-changer for professional photo editing on the move. 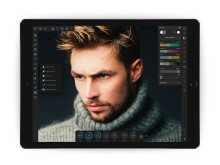 Affinity Photo for iPad was launched at £19.99 / US$19.99 / 21,99€ (subject to App Store regional variations) for an intended introductory discount period, at around 30% off the full price. Now Serif has announced that the app is to remain at the lower price point permanently. 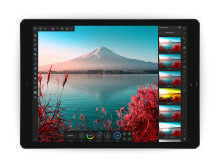 Managing Director Ashley Hewson explains: “We’ve been blown away by the response to Affinity Photo for iPad – sales have been beyond our most optimistic predictions. “Because it’s a genuine world first for fully-featured professional apps on iOS, there’s really no precedent we could use to judge the right price for an app of this quality. “Now we’ve had chance to assess the response, and settled on a price which is not only value for money for our customers, but also sets a benchmark for the price of high-end, professional apps on iPad in the future." 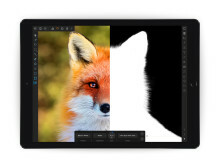 Affinity Photo for iPad has also received another update, version 1.6.4, bringing new features as well as the quick bug fixes that Affinity customers expect. The update, free to customers, strengthens the compatibility between the desktop and mobile versions of the app. 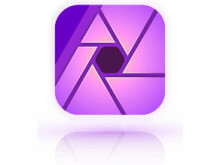 Users who have set up and saved macros in Affinity Photo on Mac or Windows can now play them back on iPad. The ability to record new macros on the iPad itself will be in a future update. Serif’s developers are also working constantly to make the most of the iPad’s unique Metal graphics technology, allowing users to work easily on large super-high-resolution photographs, or complex compositions with potentially thousands of layers. Ashley Hewson says: “Affinity Photo already brought unrivalled capability to work on huge images with incredible speed when retouching, applying effects or adding adjustments. Other changes include UI improvements, improved PDF and vector export and better integration with the Apple Photos app. 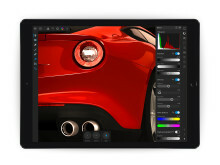 Affinity Photo for iPad is compatible with the iPad Pro 9.7-inch, 10.5-inch and 12.9-inch, iPad Air 2, iPad 2017, and optimised for Apple Pencil. For more information go to affinity.serif.com/photo/ipad. Macro studio import and playback. Supports interactive playback. Significant improvements in performance for large or complex documents. Even better HDR merge of RAW images. Increased maximum size of the liquify brush tools. One-press switching between button menus (e.g. document, command menus). Improved loading of images from photo library (now shows all user albums/folders). Use “Place Image” to place original images from Photos. Improved PDF and vector export. Better TIFF loading, including support for malformed 8bit grayscale TIFFs. Dismiss font size chooser by pressing return. Focus Merge can now use RAW sources. Show progress when committing a refined selection. Metadata available when creating a document from the camera. Export LUT added to document menu. Convert to Curves added to command menu. Wet edges can now have a custom interpolation spline. Pinch gesture support for grouping / ungrouping layers in the layers studio. Icon improvements, especially in text studio. Selection marquee tools support extra-finger-constrain. Improved reading of DPI from files. Exposure adjustment now operates in stops, not % and has wider range. Arrow tool has more options. New option to dither gradients in preferences (defaults to “on”). Significantly smoother pan / zoom. Directional lights in the lighting filter can now be directed using on-canvas handles. Adjustments / filters preview react to changes in canvas size. Further memory management and localisation enhancements. Numerous fixes and stability improvements. Created from the ground up, with the emphasis on speed, power, accuracy and lack of bloat, Affinity Designer and Affinity Photo received a stream of glowing reviews from Mac users around the world, before being launched for Windows users too. 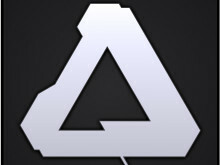 Their creation marked a change of focus for Serif which, since 1987, had grown a reputation for quality and reliability based on the award-winning Plus range of software for PC. Powerful yet easy-to-use, the software offered low-cost alternatives to high-end publishing and graphics packages, putting professional effects and demanding publishing tasks within the reach of PC users around the world. Now changing the game for professional graphic designers and photographers on Apple Mac as well as Windows, Serif is the winner of over 200 awards internationally, with more than 6.5 million customers worldwide. The company has around 90 employees.